-LOVE- it! So so pretty, I usually go for a natural eye but wow I might just have to try this one! *dies* this is perfect twinsie!!!! so creative! 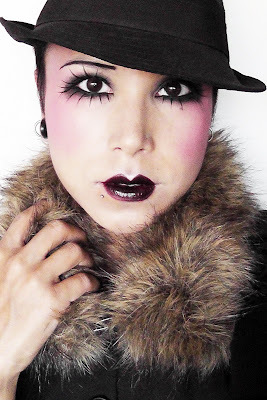 love the purpley-pink blush and spider-leg lashes!